Maiden Grass is an arching, graceful grass that forms dense clumps of green or variegated foliage. This grass is used in the landscape as a specimen, screen or a nice mass of textured foliage. Also looks great near a pond! 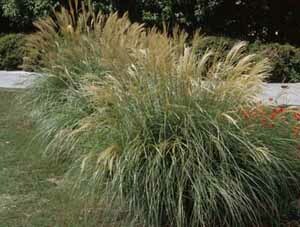 Maiden Grass requires a location in the landscape that receives full sun, but will tolerate some shade.